Every year, over 20 million people take cruises, according to 2017 research by StatisticBrain.com. Destinations can range from nearby ports in the Caribbean to far away locales like Tahiti or even the Antarctic. If you stop and think about the fact that cruise ships transport thousands of tourists with no sailing experience or skills to distant locales across the high seas, it’s surprising there aren’t more injuries. Many first-time passengers have never been on a boat, let alone a massive cruise ship. The size and stability of these ships can give people the false sense of security. In fact, a passenger could easily forget that he or she is even on a ship at all. Still, there are certain parts of a ship that present special dangers. Never try to outrun a closing watertight door. One manufacturer – Gard – explains that these doors are designed to close tightly enough to keep water from passing through them. This means an extremely high-pressure seal. If there is a breach, these doors must keep thousands of pounds of water from infiltrating the next section of the ship. On most ships, these doors operate automatically or are operated from remote locations, so that passenger trying to get through will not be seen. When people try to race to pass through doors that are closing, they can get trapped and seriously injured or killed. Whether it’s a pool deck, locker room, or restaurant, slip and falls account for one of the most frequent injuries. After all, water is everywhere. When cruise ships stop at ports, people are often shuttled from the ship to the port and back aboard tenders or ferries.. Many times, local operators are used to provide these services, and they may not have the training and expertise necessary. Plus, the equipment may be outdated, safety features can be missing entirely, and local standards may not be up to par. Passengers are frequently injured in these small vessels, or while getting on or off of them. The same is true of lifeboats. They may be located in precarious spots or not secured properly. Crew may forget to properly harness them after routine training drills. Some passengers have been injured by lifeboats that broke free from their moorings. 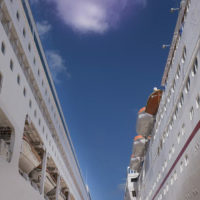 You would not think that food borne illness or allergic reactions would be big hazards on a multi-million dollar state of the art cruise ship but many cruise ship passengers have suffered from food-related illnesses and injuries. This often happens when crew members ignore or simply do not understand a passenger’s requests regarding allergies or when food is not properly stored, handled or prepared. In some situations, entire ships have experienced food poisoning or other illness. Due to the close confines of a cruise ship these illnesses spread very quickly and tend to effect a large portion of the passengers and crew. Just like any fancy resort, many cruise ships have luxurious facilities, including large, panoramic balconies that overlook the open ocean. Sadly, distractions and alcohol often play a role in people falling from balconies. Just last year, a toddler fell from a balcony aboard a Carnival Cruise Lines ship in Florida, Fox News reports. Whether you’ve been hurt due to a dangerous condition on board or the negligence of crew members, you have a right to be compensated for your injuries on board a cruise ship. 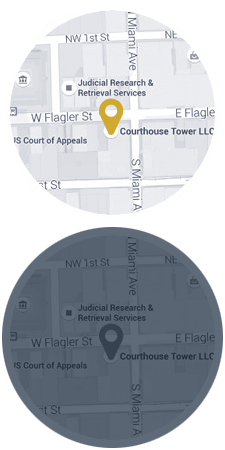 Call toll-free (866) 473-2636 to speak with Michael F. Guilford, P.A., an experienced Florida maritime injury lawyer. Consultations are free, and there is no charge unless we are able to help you recover for your injuries.